I have to start my day with some protein otherwise, well…it’s not pretty around 10 am. Usually, I’m running around the house like a crazy woman and don’t have time to cook a nicely balanced breakfast. To combat my crazy mornings, I’ve started to make these little beauties the Sunday night before the work week so I have protein on the go every morning. 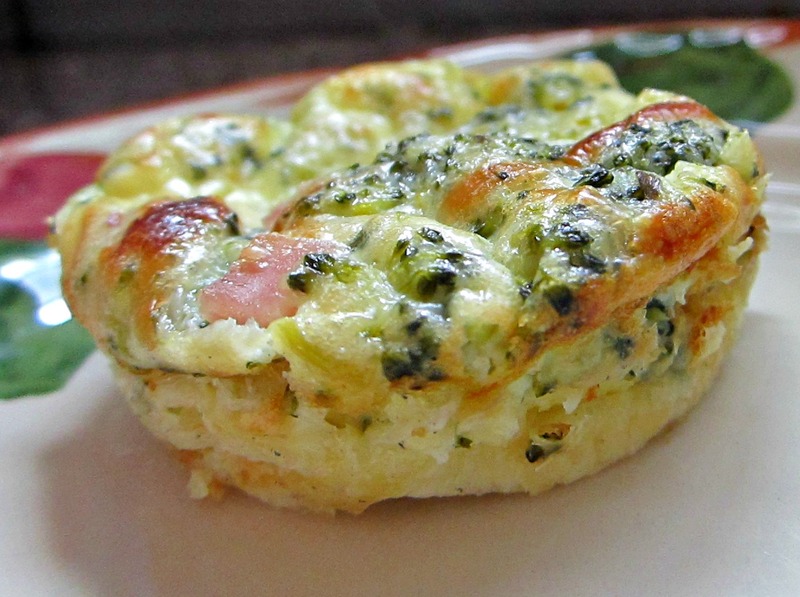 These mini quiches can be easily heated up in the microwave for about 2 minutes, covered in a damp paper towel. 1. 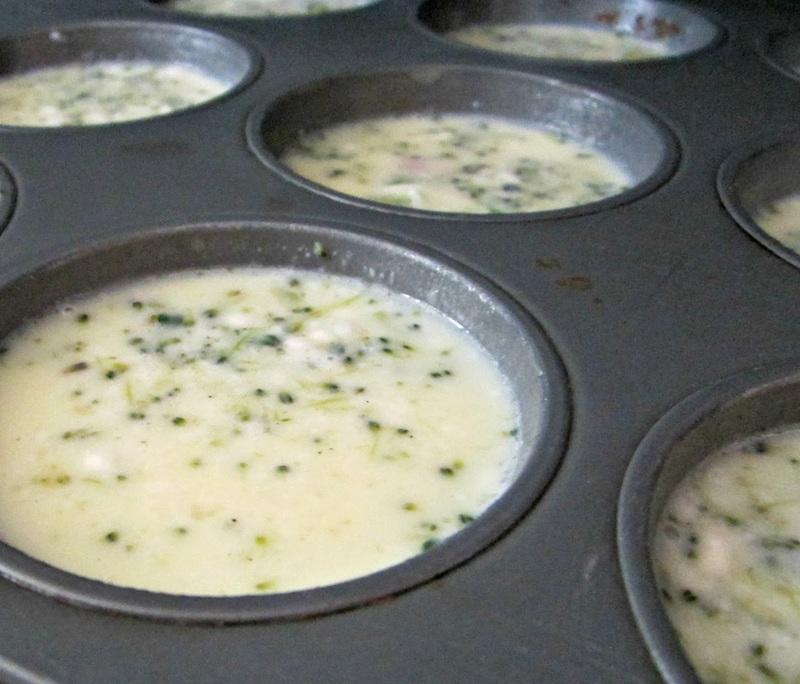 Preheat oven to 350° F. Grease and lightly flour twelve 2 1/2-inch muffin cups. 2. 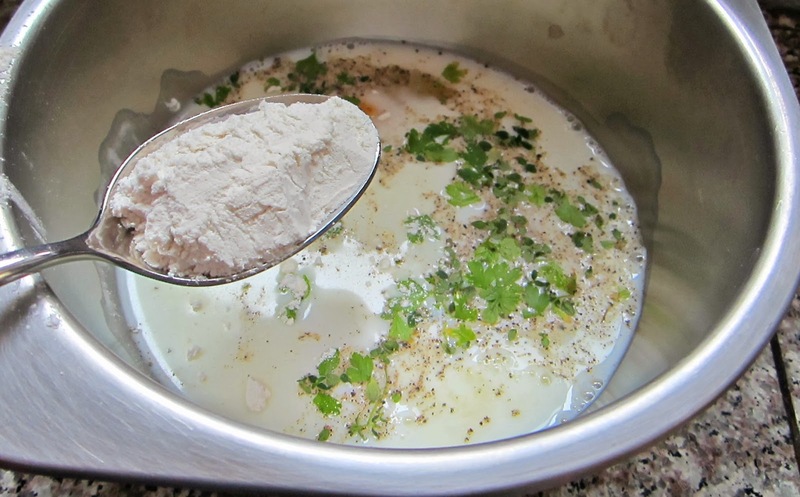 Whisk milk, eggs, flour, salt and black pepper in medium bowl until blended. Stir in cheese, broccoli, bell pepper and ham. 3. Spoon 1/4 to 1/3 cup of mixture into each prepared muffin cup, filling almost to rim. Stir mixture frequently to evenly distribute ingredients. 4. Bake for about 30 minutes or until knife inserted near centers comes out clean and tops are lightly browned. I like to slide mine under the broiler for a few moments to brown up the cheese on top too. Cool in pans for 15 minutes. Run knife or small, flat spatula around inside edges of muffin cups. Carefully remove quiches.